Boro 33 glass, flat bottom, with ground in capillary stopper, unadjusted. 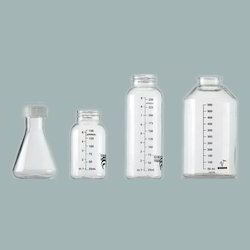 This autoclavable bottle, made of polypropylene, can be used for storing & transfering chemicals and other reagents safe & sound. Narrow Mouth Reagent Bottle, PP, 1000 ml., Pack of 6 Pcs. Capacity: 25ml, 50 ml & 100 ml. ATICO Medical Pvt. Ltd. are manufacturer, supplier and exporter ofSpecific Gravity Bottle. With ground in thermometer 0-50 DegreeC. 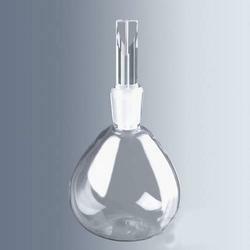 - Density bottle of 100 ml with capillary vent leak proof stopper. These bottles made in low density Polyethylene dispense small uniform drops of liquids. The unique feature of these bottles is the screw cap with lid.